3rd Row Seat, Sunroof, NAV, Heated Leather Seats, DVD, All Wheel Drive, Power Liftgate, Alloy Wheels, Tow Hitch. MOSAIC BLACK METALLIC exterior and JET BLACK / LOFT BROWN interior, High Country trim. EPA 25 MPG Hwy/17 MPG City! CLICK ME! ======KEY FEATURES INCLUDE: Leather Seats, Third Row Seat, All Wheel Drive, Power Liftgate, Rear Air, Heated Driver Seat, Heated Rear Seat, Cooled Driver Seat, Back-Up Camera, Premium Sound System, Satellite Radio, Onboard Communications System, Trailer Hitch, Dual Moonroof, Aluminum Wheels Remote Trunk Release, Privacy Glass, Keyless Entry, Child Safety Locks, Steering Wheel Controls. ======OPTION PACKAGES: LPO, REAR SEAT INFOTAINMENT SYSTEM WITH DVD PLAYER dual headrest with 8 screens and multiple inputs, including SD, USB, HDMI, as well as wireless connectivity to brought-in devices. Includes remote control, 2 sets of 2-channel wireless infrared headphones, and an available companion app to allow parental control of system, LPO, INTERIOR PROTECTION PACKAGE includes (VAV) first and second row all-weather floor mats, LPO, (VKN) third row all-weather floor mats, LPO and (VLI) all-weather cargo mat, LPO, AUDIO SYSTEM, CHEVROLET MYLINK RADIO with Navigation, 8 diagonal color touch-screen and AM/FM stereo, includes Bluetooth streaming audio for music and most phones; featuring Android Auto and Apple CarPlay capability for compatible phones (STD), ENGINE, 3.6L V6, SIDI, VVT (310 hp [232.0 kW] @ 6800 rpm, 266 lb-ft of torque [361 N-m] @ 2800 rpm) (STD), TRANSMISSION, 9-SPEED AUTOMATIC (STD). 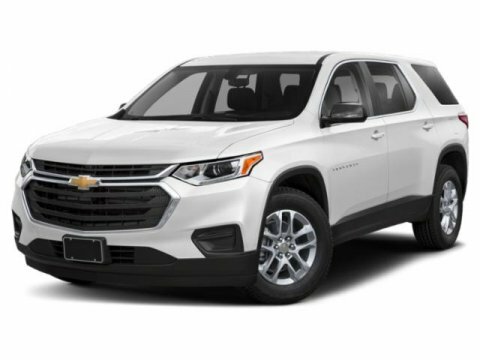 Chevrolet High Country with MOSAIC BLACK METALLIC exterior and JET BLACK / LOFT BROWN interior features a V6 Cylinder Engine with 310 HP at 6800 RPM*. ======EXPERTS ARE SAYING: Great Gas Mileage: 25 MPG Hwy. Horsepower calculations based on trim engine configuration. Fuel economy calculations based on original manufacturer data for trim engine configuration. Please confirm the accuracy of the included equipment by calling us prior to purchase.